After drawing their last three games, Arsenal got back to winning ways with a hard fought 2-1 victory against a tough Bournemouth side last weekend before easing to a 3-0 win over Vorskla in the Europa League. This means the Gunners have maintained their momentum after extending their unbeaten run to 18 games in all competitions. This has been seen as a huge positive as new boss Unai Emery has rejuvenated the once frail north London club. At the start of the season not many people were backing Arsenal to qualify for the Champions League next year with those betting at sites like online pokies nz believing the north Londoners wouldn’t be competitive this year. However, the win at Bournemouth means Arsenal have kept the pressure on the top-four with the Gunners now just one point behind Chelsea so Unai Emery must be given credit for making such a positive start to life in England. One might have questioned Arsenal’s approach during the Bournemouth game as Emery axed star man Mesut Ozil from his starting eleven while Pierre-Emerick Aubameyang started up front in the absence of Alexandre Lacazette. Despite Ozil not making the side, Aaron Ramsey was once again left on the bench with the Welshman continuing to be out-of-favour under Emery. Furthermore, Emery experimented with a back three as Sokratis came in to line-up alongside Shkodran Mustafi and Rob Holding. It seemed to work as it gave Sead Kolasinac and Hector Bellerin more freedom down the wings and the pair were instrumental in both goals. Kolasinac in particular was a real threat as the Bosnia and Herzegovina international produced a well-blended display on the left flank. He provided Aubameyang with a lovely assist as the Gabon hitman slotted home the eventual winner midway through the second half. 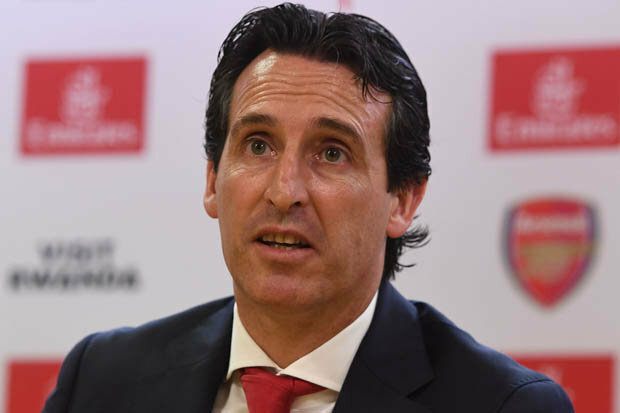 However, while it’s been an encouraging start for Emery, there is a lot that has to be done for Arsenal to start competing for the Premier League title. The Gunners have been woefully slow starters and are yet to lead a league game at half-time – which is an incredible stat after 13 games – and too often they’ve conceded cheap goals. Against Bournemouth, Arsenal were seconds away of going into the break leading 1-0 but once again indiscipline at the back led to Bournemouth scoring in stoppage time to make it 1-1. It’s become such an issue that many top gambling sites have now slashed their odds on Arsenal not leading at half-time against Tottenham on Sunday. Emery and his coaching team need to work hard to get the players in tune right from the first minute and the Arsenal coach will be desperate to see a fast start against Spurs in the north London derby this weekend.